On January 18 the meeting of the Supreme Council of Transnistria was held to discuss endorsement of Petr Stepanoff’s candidacy for prime minister. The meeting addressed one single candidate presented by incumbent president of Transnistria Evgueny Shevchuk. The deputy of the Parliament, leader of the ‘PRORIV!’ People’s Democratic Party Dmitry Soin spoke out in support of Petr Stepanoff: ‘First of all, having gained a persuasive victory in presidential election and enlisted support of the majority of citizens of Transnistria Evgueny Shevchuk has a political and a moral right to present the person he considers worthy as prime minister to the Parliament. 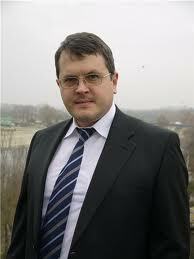 Actually, Evgueny Shevchuk is enjoying people’s confidence and has a particular ‘carte blanche’ for his activity. Secondly, we need an independent organ of executive power, which is now the government, and a prime minister experienced in economic management, who will shoulder the responsibility for economy in the current conditions of a deep crisis. I think Petr Stepanoff is courageous enough to make up his mind to manage economy of the country. I will remind of the budget which accounts for more than 70% deficit. There are serious gaps in financing social programs; there is a real threat of population ageing. In this regard being deputies we couldn’t drag the endorsement of the candidate out as the delay in forming government would hit at the Transnistrian economy. That is why deputies acted quickly with good coordination and supported unanimously the candidacy of Petr Stepanoff’. During his speech Dmitry Soin stressed: ‘Today we confirm the Head of the Government. According to the law, in a week, he must present the structure of the government, ministers, managers and a concrete socio-economic development program. We will not be able to make progress without that. Once everything is done, we will be entitled to assess. At the same time according to the world practice president and prime minister should be allowed normal facilities to work calmly first 100 days of governance. By summing up results of 100 days we will either support the course, either make some corrections if president’s and prime minister’s acts are not efficient’.